The circus fun continues! Project Nursery, Savvy Sassy Moms and friends teamed up for the month of April to turn our blogs into a three-ring circus! We are celebrating the craziness of motherhood and showcasing some of our favorite brands that help us manage our busy lives. Want to throw a party or add a little bit of the circus to your nursery or playroom? 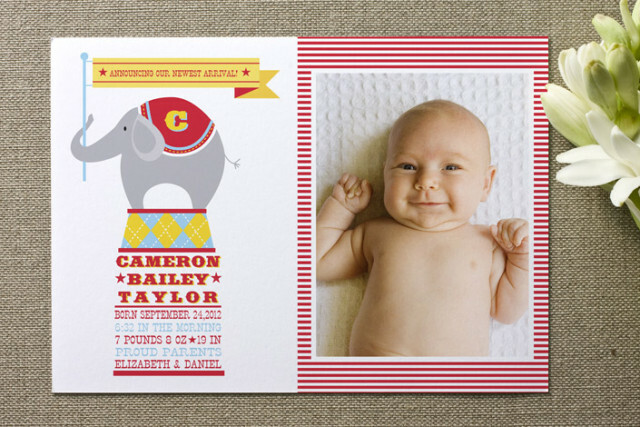 Our friends at Minted have you covered! One lucky reader will win a $300 gift certificate to Minted! Minted is an online marketplace that crowdsources and sells graphic design and art from a global community of thousands of independent designers. The company produces beautifully designed premium products for the home, holidays and special occasions. Whether you are throwing a baby shower or first birthday, announcing the arrival of your little one or adding the finishing touches to your nursery with wall art, Minted is your online resource. We especially love one of the newest additions to the Minted family, their party decor. Add that special touch to your next event with custom invites and matching party decor. You can bring your dream party to life with chic bunting banners, centerpieces, table signs and more—designed by Minted’s community of independent artists and customized by you. WIN IT! One Project Nursery reader will win a $300 gift certificate to Minted.